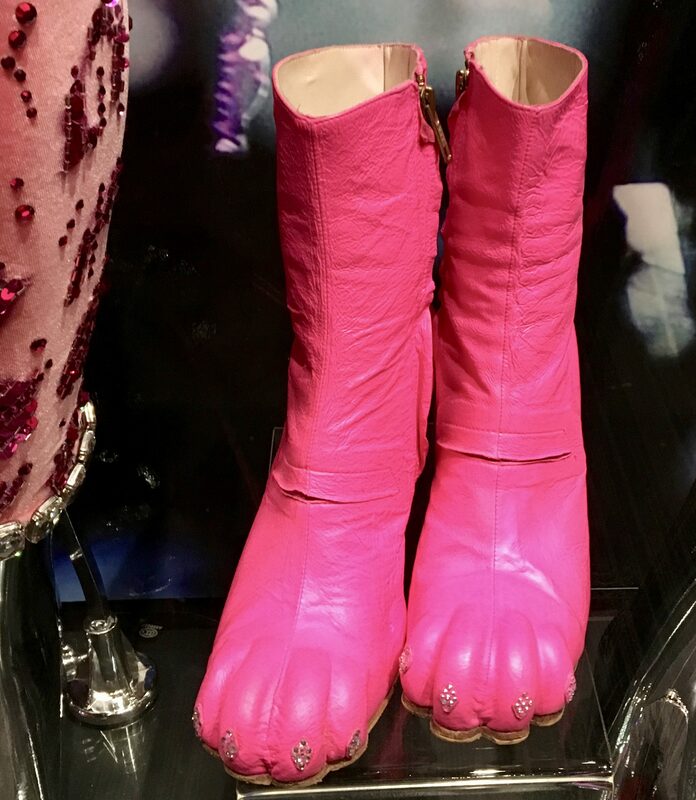 These Hot Pink custom boots, designed to mimic a pair of cat’s paws, were worn by pop star Katy Perry on her 2014 Prismatic Tour. Created by NYC-based design house The Blonds, the boots were part of a Pink Leopard-Print, Stretch Velvet Catsuit (seen below) worn by Perry onstage. Photographed in the Grammy Museum in Hollywood, California.